Lesson 1: This will not be development as usual. As I’ve mentioned a couple of times on the DearID show that I’ve been wanting to get my hands on Adapt, the elearning authoring framework. As you may have seen, I got to working with it and, just recently, I finished my first experiment. The absolute first thing to note for anyone who’s interested is that this thing is an absolute beastie to install. It’s not like installing a neatly packaged program like you might be used to. We’re talking command line/terminal commands. They have pretty good instructions on their github wiki but you are still highly likely to run into issues. If you’re willing to work through that phase, maybe you’re already comfortable with the command line, you can get it done. For others, I know the forum and Gitter communities help quite a lot of people with issues like this. I chose to power through solo, so it took a little doing but I finally got it installed. Adapt offers an authoring tool version, which is suitable for most people. It includes a graphical interface so you can use menus, drag and drop, etc. to build your courses. They also offer a framework version, which allows developers to look at the code (a mix of JSON, handlebars files (a templating engine), and LESS files (a “type” of CSS that allows variables and other cool stuff). I started out intending to use the authoring tool, but discovered that, for now, you have to develop course themes using the framework. I liked it so much that I just stuck with it. (I should mention that Learning Pool is awesomely leading the way in trying to bring Adapt to everyone and are testing out providing a hosted version of the Adapt Authoring tool). Pages: Pages are how the main learning content is presented (similar to a page on the web), and can contain a number of sub-elements, making them perfect to present a single topic in an e-learning course. Articles: Articles are the next step down, and are used to present compound pieces of information within the page. Like pages, articles can be formed of many sub-elements. Articles can also be used to split up a page for presentation purposes. Blocks: Blocks have replaced the traditional screens/slides found in most e-learning publishing software, and present small chunks of related content using components. Components: Components are the main interactions in Adapt, and present simple ideas. Components can be used in a block full-width, or combined with another component for more variety. 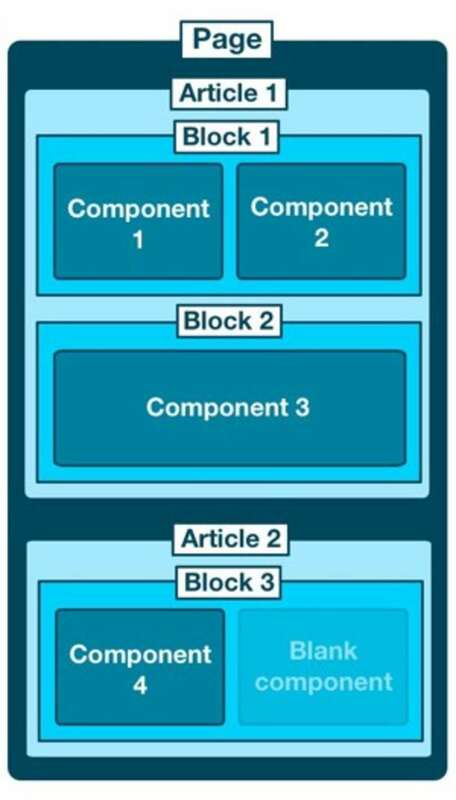 To summarise: Pages contain Articles contain Blocks contain Components. It’s important to get comfy with this, because each of these components in the hierarchy has to be in place, even if they’re empty. For example, you can’t just stick a component on a page. You have to have an article and block in place first. And that can take some getting used to. Adapt also runs off of plugins. So if you need more functionality, you will need to (and on the more positive side, you are able to) create a plugin for it. Firstly, the game loaded before you could see it. Since my game has music in it, that meant you were hearing the game way before you got to that component. Secondly, once you did get to the game component, you could skip it. There was no way for me to tell Adapt to stop people from continuing the course until after the game was complete. Overall, I really enjoyed my experience developing in Adapt! The installation is a huge hurdle, so it’s amazing that Learning Pool is tackling that and I think that it will be a huge boon to other folks adopting the tool. I liked that I could customize everything using the framework. And I love that the code produced is well organized, responsive, easy to understand, and is really HTML. All of those things are huge pros, as is the attention paid to accessibility. Furthermore, Adapt’s modular ethos says, if you want to be able to do something and you can’t do it with out-of-the-box functionality, build it! I can really get behind that. I think that Adapt can be really useful for bite-sized and long-form courses. The web-page pattern and authoring tool will be a learning curve for folks who’ve only developed with the main authoring tools. Interactivity along the lines of games is possible but has to be added in using other tools, which might be an issue for some folks. In other words, it may not be for everybody or for every course. But I think it has a lot of potential in a world where the online learning many folks are experiencing looks more like Udacity or Udemy or Teachable, rather than slide-based courses in an LMS. 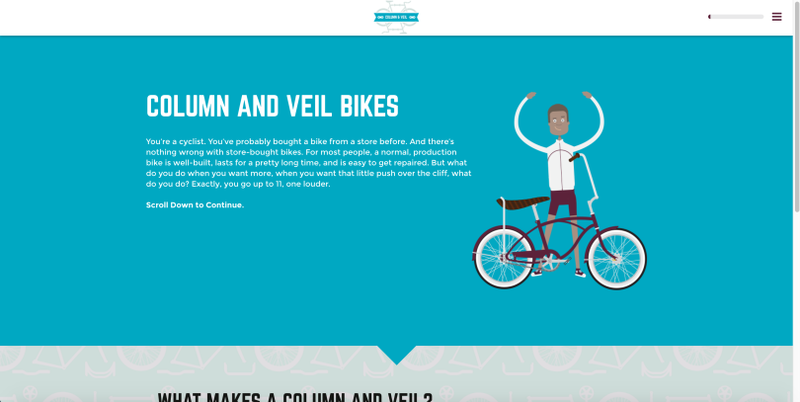 I created an onboarding-inspired, bite-sized course for an imaginary hipster, bespoke bicycle company. Check it out and let me know what you think!